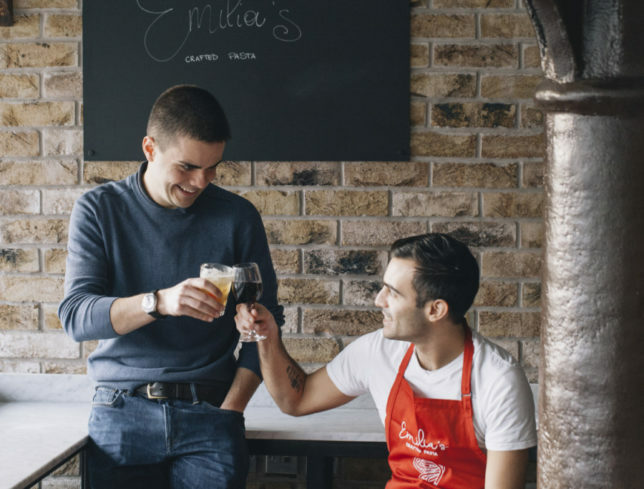 Emilia’s Crafted Pasta stands out from the crowd thanks to the passion of its founder Andrew Macleod to make pasta the main event and the authenticity of the pasta bar he created. 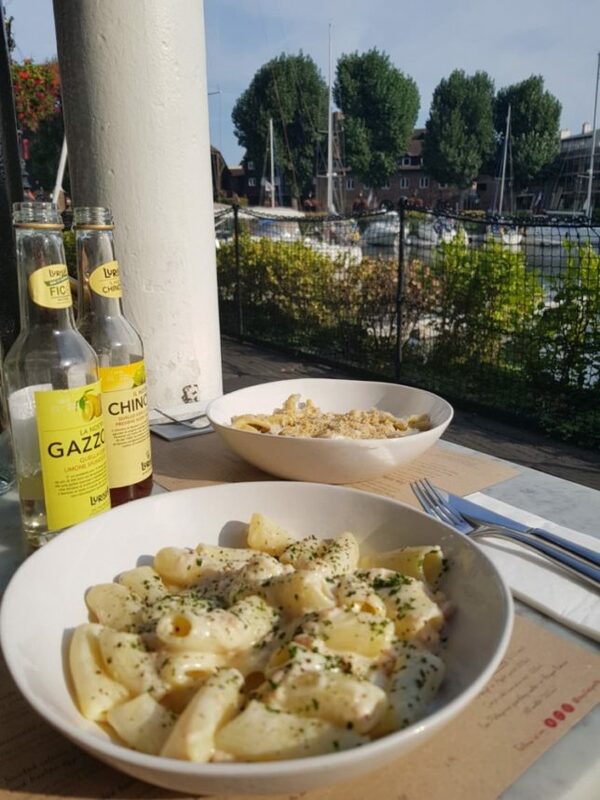 Emilia’s pasta is freshly made every morning taking five hours to prepare from scratch to guarantee freshness, authenticity and taste. 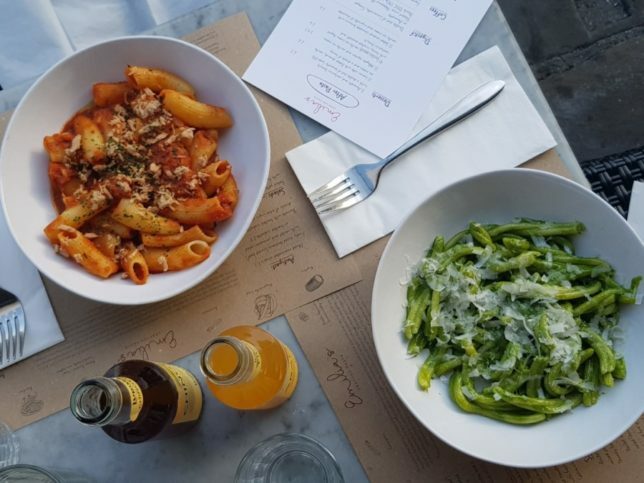 With a respect for tradition and authenticity, the fresh pasta is also supplemented with a range of other foods and drinks sourced for their authentic Italian nature. Drinks, such as the Lurisia Gazzosa, an artisanal lemonade usually only found in Italy and Amarcord Gradisca, a unique Italian craft beer feature on the menu, as well as coffee that has been sourced from ‘The Roasting’, a small independent Italian roaster with a coffee shop in Victoria. 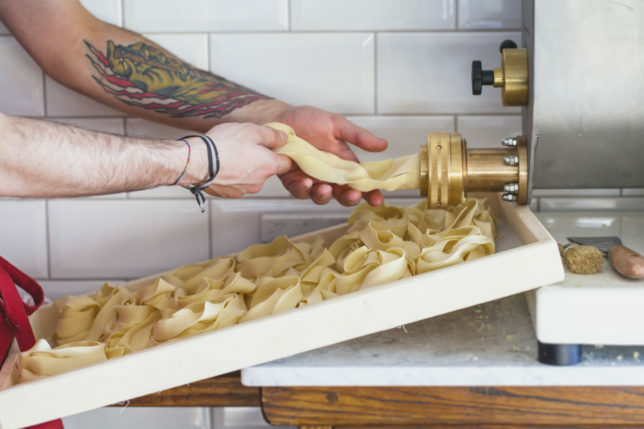 Andrew spent 18 months travelling around the Emilia Romana region of Italy, learning about what it takes to make great pasta from local rural chefs sharing their passion for cooking family recipes passed through the generations. 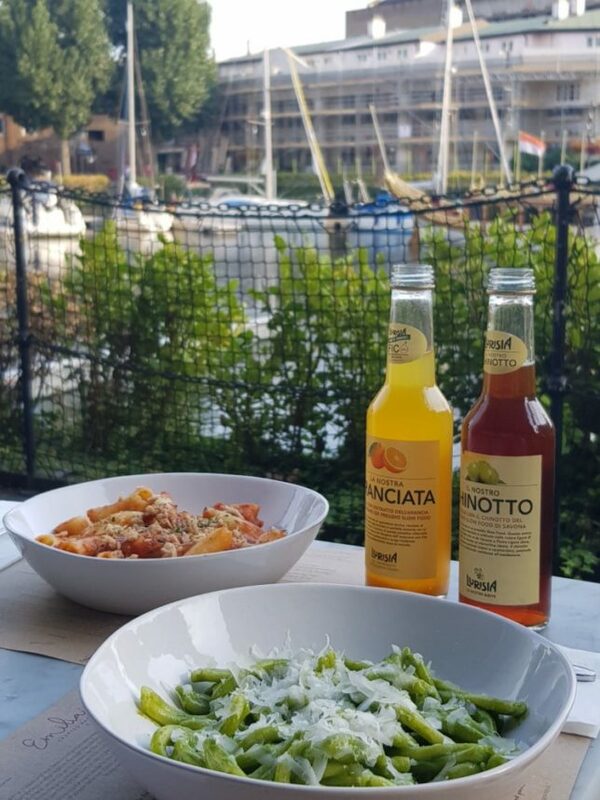 Upon returning to London, Andrew invested all his money into the opening of Emilia’s Crafted Pasta in November 2016 at St Katherine’s Docks. Inside, Emilia’s Crafted Pasta is clean and simple – reclaimed cargo timber for cupboards and shelving complement the marble-topped pasta bars, while terracotta shaded floor tiles have been sourced from rural parts of the Emilia Romagna region, providing anauthentic rustic feel to this buzzy Italian pasta bar. 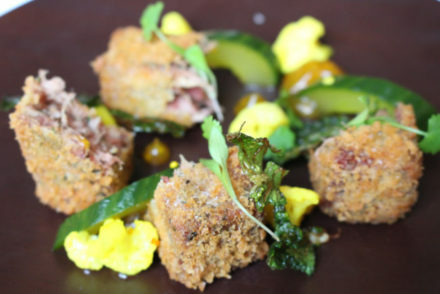 Boasting an immersive open kitchen, this intimate restaurant may be small offering 25 seats inside and 12 outdoors but the idyllic waterside views and authentic food transport your senses to the Italian riviera. The wine menu is simple, with 2 whites, 2 reds, a rose and a prosecco. The standout option is the Nuovo Quadro from the Battistina Estate. This single estate Gavi di Gavi comes from a small 5-hectare plot which is renowned as the prime vineyard location in the area. Expect texture, minerality, zesty citrus and ripe peach, finishing with a nutty twist that’s so characteristic of the region. 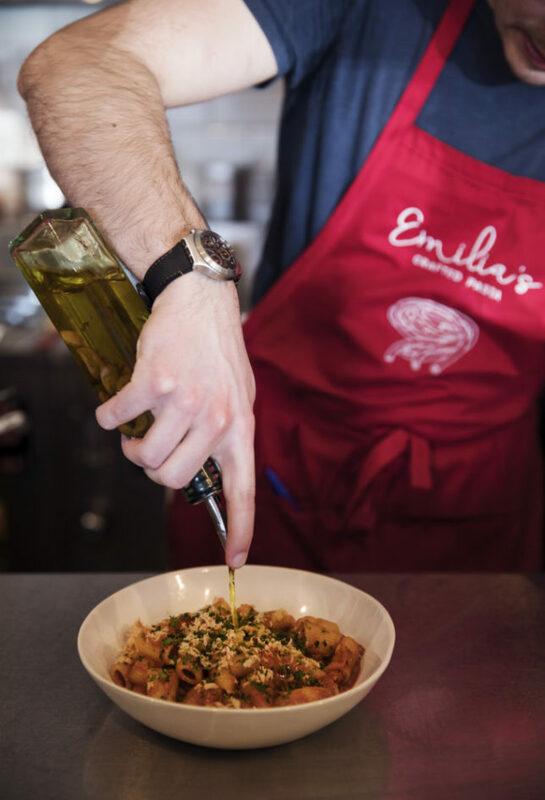 The menu at Emilia’s Crafted Pasta is made using only the purest ingredients, with some exclusively sourced from a handful of local, sustainable suppliers in Italy. 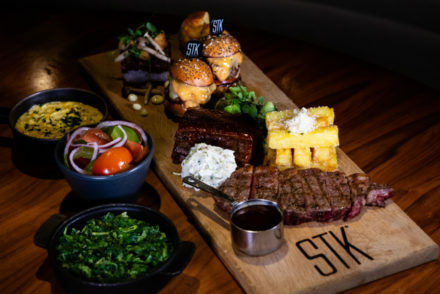 There is also twists on classics such as their famed 4 hour slow-cooked Bolognese using ‘Pasture for Life’ certified 100% grass fed organic beef, made heartier and creamier with fresh béchamel. 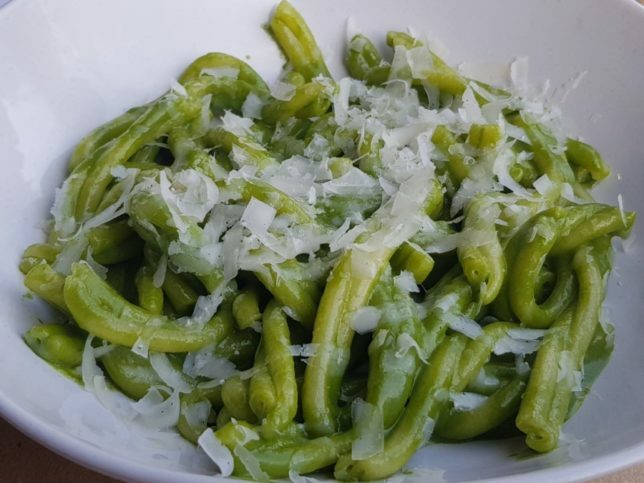 There’s an art to choosing the right pasta for the right sauce; the twisted shape of casarecce marries well with the homemade pesto which is filled to the brim with parmesan, pecorino and of course basil making it wonderfully creamy, fragrant and proper Genovese. The casarecce pasta is also the main event of the Ligurian classic of homemade creamy walnut sauce (known in Italy as salsa di noci). 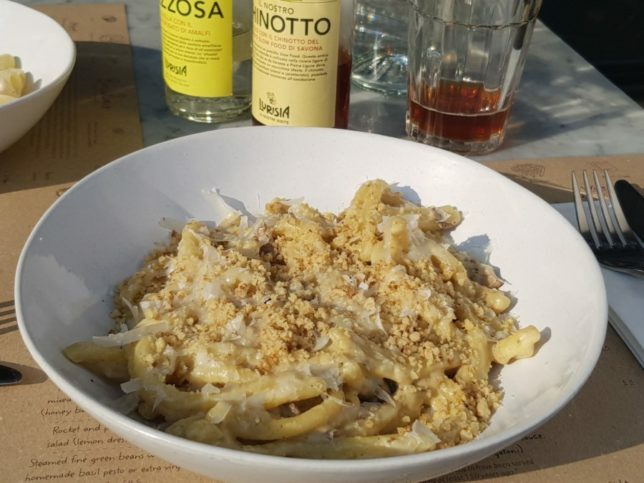 Traditionally made with walnuts from the Liguria region in north-western Italy, at Emilia’s Crafted Pasta this dish is taken to new heights with the addition of flavoursome chestnut mushrooms and a generous sprinkling of finely chopped walnuts. 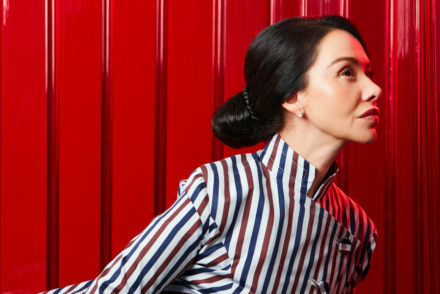 The ridges and hollows of rigatoni hold on to the sauce and squirrel away little morsels of vegetables or fish. We enjoyed the freshly made rigatoni with homemade tomato sauce flavoured with peperoncino and freshly chopped parsley and topped with a hint of flaked yellowfin tuna fillet. The authentic carbonara at Emilia’s Crafted Pasta is a rich sauce of beaten eggs and pecorino with a choice of either smoked salmon or the more traditional pancetta. Served with bucatini or our favourite rigatoni, the pasta is again the main event of this dish although we would have liked to have seen a bit more smoked salmon added to the sauce. After pasta comes dessert, not an amazing selection and disappointingly no tiramisu on offer but there are a few authentic touches on the menu such as amaretti and cantuccini biscuits ideal with a double shot of amaretto or a traditional Italian lemon cake with flaked almonds and a drizzle of honey. 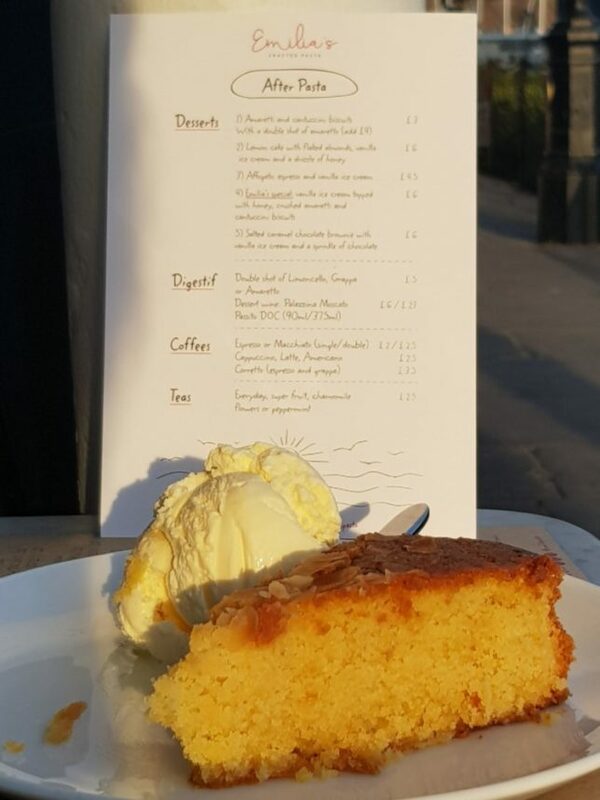 The cake is tender if a little dry so the honey helps sweeten the deal. 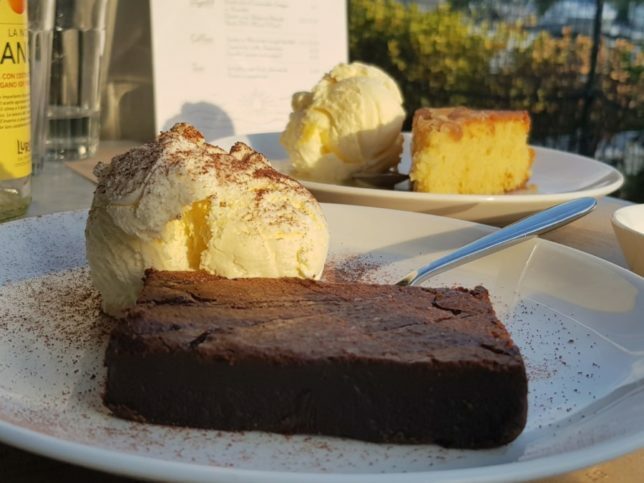 The salted caramel chocolate brownie is surprisingly served cold however the dense fudginess of this pudding still delights the palate and goes very well with the cool creaminess of vanilla gelato. 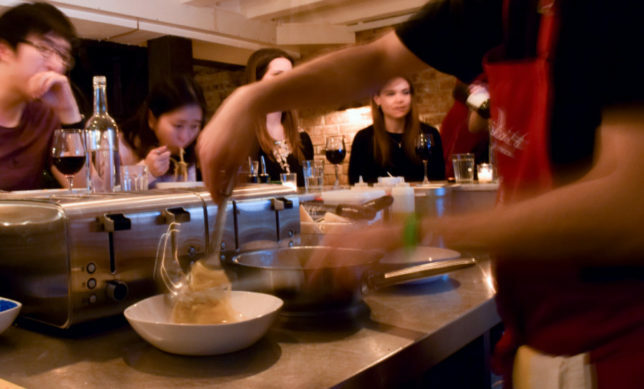 As a digestif, we recommend going all out Italianissimo and ending your meal with a generous shot of Limoncello. 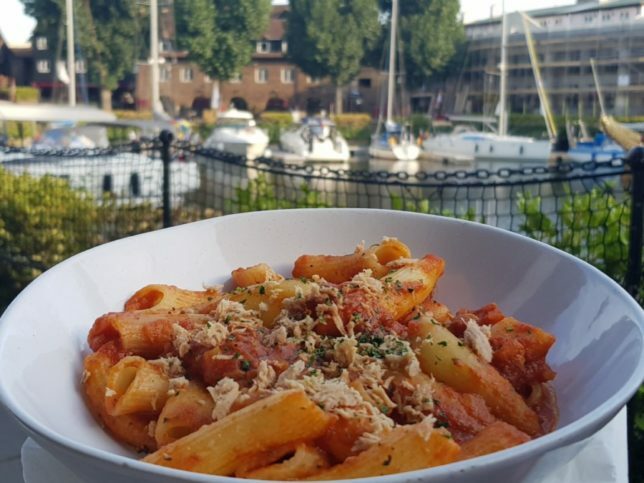 With their authentic pasta menu and the picturesque dockside views, it easy to see why Emilia’s Crafted Pasta has caught the attention of London foodies from the Editor of SLOAN! to the boys of SORTED Food.